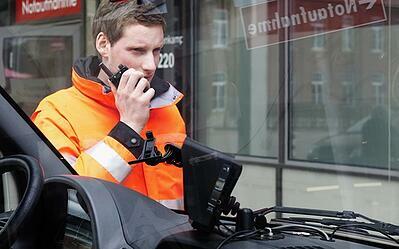 What do you think of when you picture someone using a TETRA radio in their work? A high-speed police chase? A daring helicopter rescue? Perhaps you don’t think immediately of the clinical surroundings of a hospital. Maybe you have some doubts about why radio communications would be needed in a hospital. Yet many medical staff are using TETRA right now to make their work go smoothly. 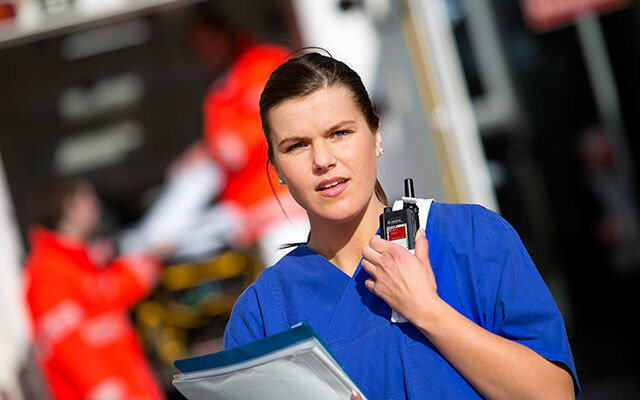 TETRA radios are great for hospitals, because they improve patient safety, speed up treatment and cut overall costs. Take Auli Virtanen, a nurse at an accident and emergency room. Using TETRA has transformed Auli’s working life, giving her instant communication with her colleagues. Whatever Auli needs to do - get advance notifications, place patients, order laboratory tests, ask for assistance – her TETRA radio is there, ready to put her in touch quickly. The line is practically always open and she never gets a busy number. The Push To Talk or PTT key is great as well - pushing it lets her say her thing without being interrupted. Can you imagine taking 19 minutes to bring a trauma team together? That’s what faced Jari Hirvonen, an acute care nurse at an accident and emergency room, when his team depended on cell phones to alert everyone. When a patient’s life is in danger, that is at least 18 minutes too long. TETRA has definitely proved its worth here – using a TETRA group, everyone now gets the message within a minute. The result is what hospitals strive for – faster care for the patient. TETRA makes it easy to alert them, and everyone needed for a task gets the same information at the same time - a rapid response to a rapid need. But it’s not just emergencies. TETRA helps staff in their day-to-day work too. 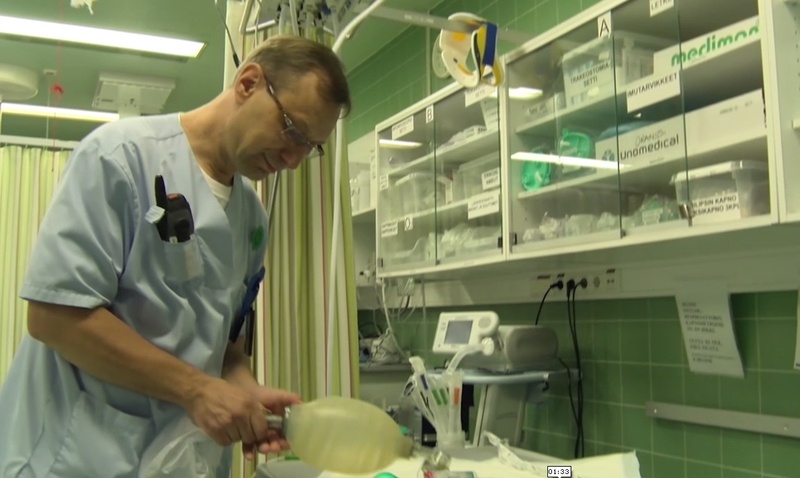 All staff at Jari’s hospital use TETRA radios, including doctors, to help make their routines more efficient. For instance, Jari estimates that the hospital saves 3.5 person-months’ of working time every year just in placing orders for laboratory tests. 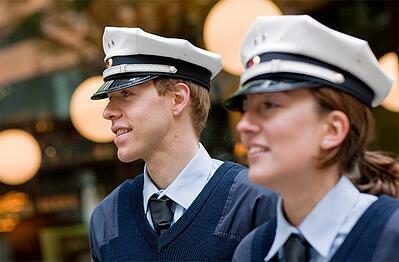 The job satisfaction of staff has also improved enormously since TETRA radios were adopted. Now, people don’t have to look for a person because everyone is easy to reach. TETRA radios are great because they save significant amounts of working time and have made people’s jobs easier and more enjoyable. Above all, they help save lives, making them a vital piece of kit for the modern hospital. See Auli Virtanen and Jari Hirvonen explain their experiences in their own words on our Video testimonials page. On the page, you can check out three more testimonials of real medical staff who are benefiting from TETRA right now. Still not sure if TETRA is the right choice for your hospital? 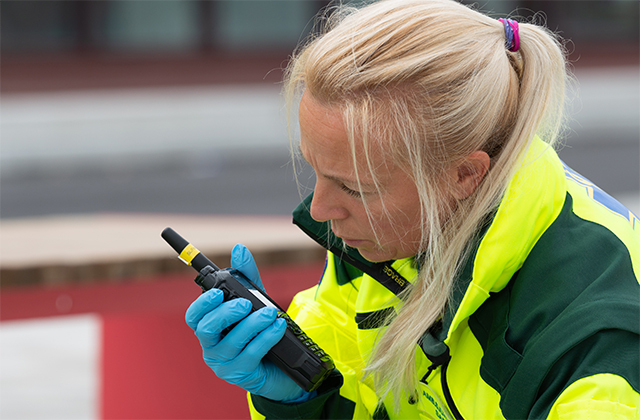 Download our myth-busting document and get the facts on bringing the benefits of TETRA to your medical teams. Download "Myth-buster: 5 wrong ideas about TETRA in hospitals".